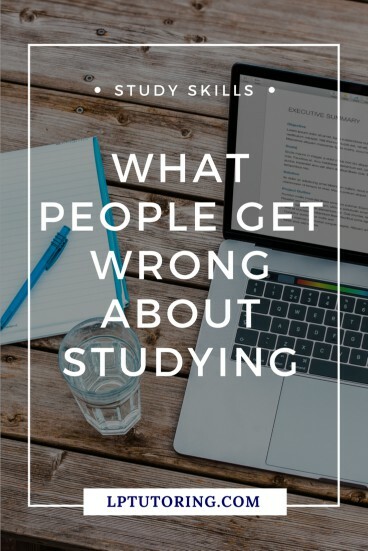 What People Get Wrong About Studying: 5 Myths Busted! But so much of that image is not only not useful for studying, but actually really bad for studying. Trying to learn new information that night before a test (why else do you have so many books and are taking notes?) does not work. Lack of sleep will actually make you process more slowly. Seriously, keep the notebook and the highlighters, but dump everything else from that scene. 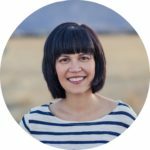 Studying is more than just reading the textbook or (God forbid ) re-reading the textbook. It’s actually a series of skills that start long before the actual studying. Long before. 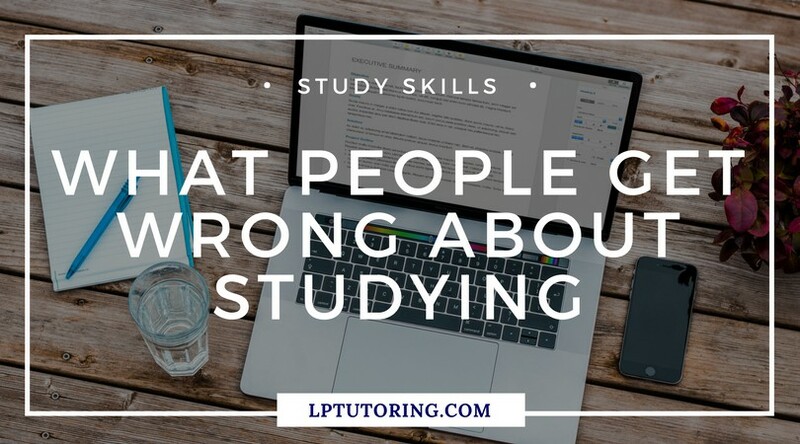 So, let’s dispel some of the biggest and baddest myths about studying. We aren’t born knowing how to study. You don’t just sit down one day and start studying. Studying, like multiplication or basketball, is a skill that must be taught. (And all too often, it’s not taught.) Yes, some people seem innately better at it than others, but they still have to learn the steps and practice, practice, practice. “Well, if it works for Johnny, it must work for Jane.” No, just no. Study strategies are so personal. What works for me may not work for my brother, friend, neighbor, etc. There are a LOT of study strategies around. You need to try them out and figure out which ones work for you. I still see people recommending that students reread the textbook – and I cringe every time. Rereading the textbook is a waste of time. Instead, take notes while reading the first time. Then, review the notes, not the actual reading. That way, you focus on the most important information and save time in the process. Studying does take time, but you shouldn’t be studying for hours at a time or, God forbid, pulling an allnighter. If you create a study plan ahead of time, you can minimize the studying marathons. Instead, break the study sessions down over a longer period of time. Also, your brain will thank you. You simply can’t maintain concentration for hours and hours. Trying to cram the night before the test is always a losing prospect. Most, but not all, Hollywood depictions of studying (Community excepted) show people studying all by their lonesomes, preferably in a dark room. While some people study better by themselves, studying in a group is a winning plan for many students. Study groups help you fill in your own knowledge gaps, keep up morale, and can provide structure. 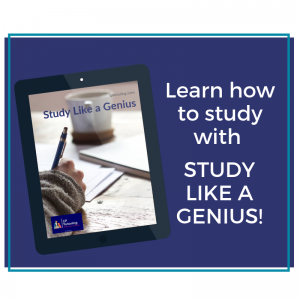 Looking to improve your or your teen’s study skills? Download the FREE checklist below!